The insecticides affect the birds' health and migration patterns. Two of the most commonly used insecticides around the world are imidacloprid (neonicotinoid) and chlorpyrifos (organophosphate). 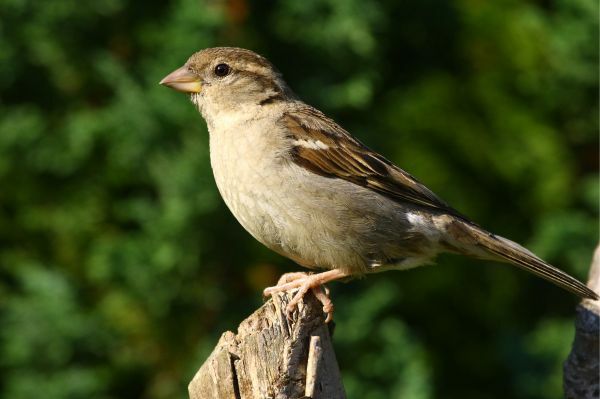 In a new paper, published in the journal Scientific Reports, they have been found to be toxic to seed-eating songbirds, even affecting their migration. These insecticides have previously been studied for their effects on declining bee populations, but now it is clear that other animals are also suffering as a result of the presence of these substances. According to Morrissey, how insecticide is currently used is making it more likely to affect birds now than in the past. While it used to be sprayed on fields with crop dusters, farmers are now able to plant seeds coated with neonicotinoids. Birds not only eat the toxic seeds, but might mistake chlorpyrifos pellets for grit, which they eat to help their body digest seeds. You might think that, while bees are an obvious loss to the ecosystem, songbirds might not be as important. However, songbirds are an integral and irreplaceable part of forest environments. In a still relevant study from 1994, researchers showed that different types of songbirds eat bugs that eat leaves, which in turn protects the plants. They are critically important to the productivity and health of the trees and forests. The insecticides have devastating and quick-acting effects on songbirds. They lost up to 25% of both their body mass and fat stores in addition to becoming lethargic and not eating as much (both signs of acute poisoning). They also became confused when attempting to migrate, unable to successfully orient themselves. Morrissey stated that Canada is considering a ban on both types of pesticides that were involved in the study, and we still don’t know what the long-term ramifications of their use on humans and the environment will be. Hopefully the team’s research will have a positive impact on regulating these toxic substances.